Blaine Bobchak admits to breaking into bank and is charged with Commercial Burglary. Blaine Bobchak, 57, was arrested and charged with Commercial Burglary and Possession of Burglary Tools. 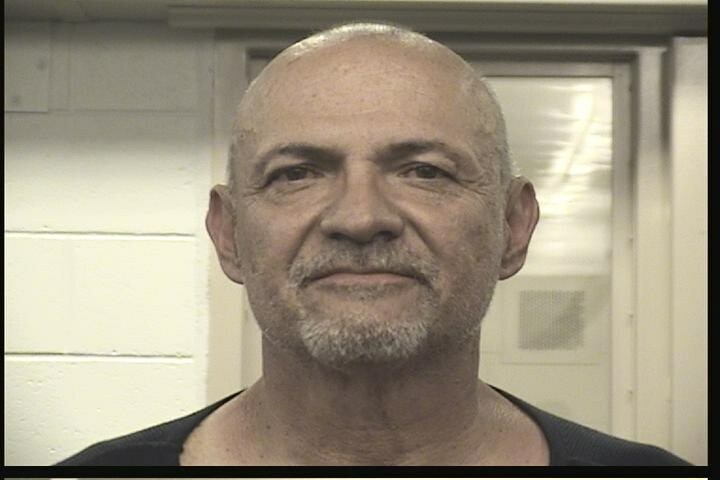 On 04/06/2017 at approximately 10:30 p.m., Albuquerque Police Department Northeast Area Command officers were dispatched to the Compass Bank located at 3500 Candelaria Rd NE. Officers were dispatched to the bank in reference to an alarm at the bank. A security guard also called giving information that a subject could be seen on camera enter the bank through a broken window. Soon after the male entered the bank he was observed on camera leaving the bank through the same broken window. Officers arrived and located the broken window but did not observe anyone else inside. The offender was described as a bald male wearing a dark blue shirt and jeans. Officers checked the area and located a male matching the exact same description of the offender seen on camera, hiding in the shadows on another side of the bank. The male was taken into custody and was identified as Blaine Bobchak. A search of Bobchak was conducted and Compass Bank pens, candy and filing cabinet keys were found in his pockets. During the course of the officers investigation, Bobchak told police he was the one who shattered the window and the one who went inside the bank to steal pens and candy. Officers spoke to a bank representative and they were able to identify the pens, candy and filing cabinet keys as bank property and said those items were inside desk drawers. Several areas of the bank had been rummaged through to include the areas the stolen items were taken from. Bobchak appeared to be intoxicated and admitted to drinking earlier in the night. He was charged with Commercial Burglary and Possession of Burglary Tools. Bobchak does have a criminal history however aside from last nights arrest has not been arrested since 2008. The Northeast Area Command Units did an outstanding job handling this call and displayed their professionalism to all involved.